On the four-hour chart Tenkan-sen line is below Kijun-sen, both lines are horizontal. Chinkou Span line is below the price chart, current cloud is ascending. After long fall the pair has been corrected above the red line. Tenkan-sen (0.8964) and Kijun-sen (0.9000) lines have become support and resistance level respectively. Let’s look at the daily chart. Tenkan-sen line has crossed Kijun-sen from above within the cloud, forming a signal to sell. Chinkou Span line has crossed the price chart from above; current cloud is ascending. 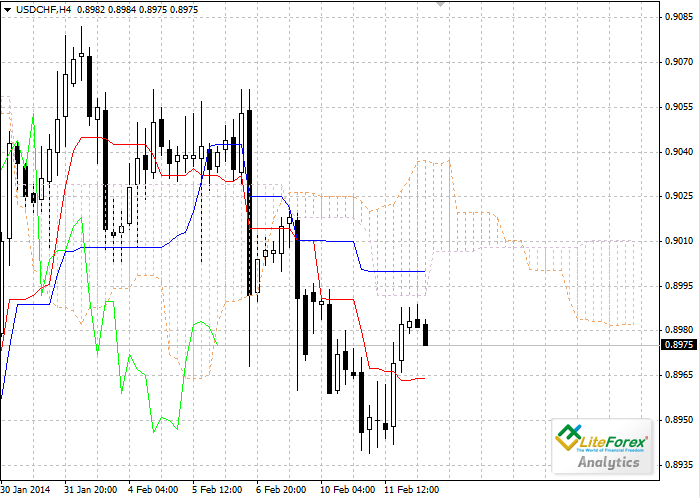 The pair is still trading within the cloud, the closest resistance level is Tenkan-sen line at 0.9011. 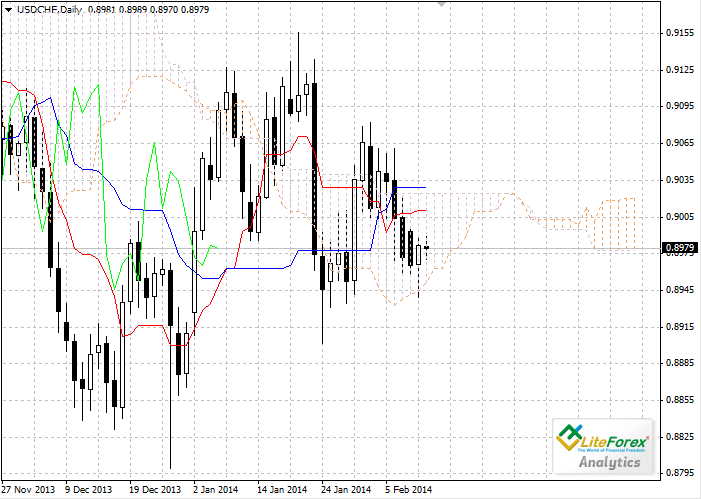 The lower border of the cloud becomes a support level at 0.8952. On the four-hour chart the pair is consolidating below the cloud, further movement will be determined by the brealdown of one of the levels: Tenkan-sen (0.8964) or Kijun-sen (0.9000). On the daily chart the pair is trading within the cloud. Pending sell orders can be placed below the level of 0.8952.